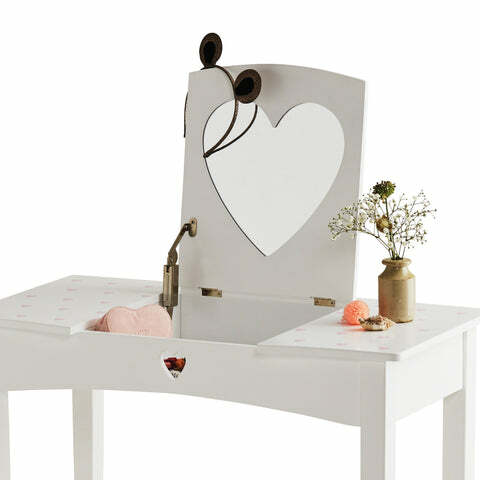 Sweetheart Dressing Table & Stool Set | Great Little Trading Co.
One of our sweetest kids' dressing tables, this is sure to generate lots of lovely play ideas and is ideal for storing hair accessories, trinkets and jewellery. Like all our furniture it's designed for children but built to last a lifetime. That's why we make it from thick MDF and wood to make sure it's safe and stable, and it's why the lift up lid features a safety hinge, and it's why the proper mirror is actually made from acrylic safety glass. 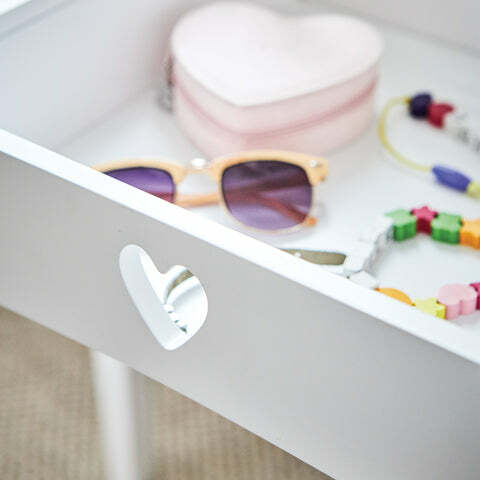 Features durable painted finish in White, with a pattern of printed pink hearts on the top. 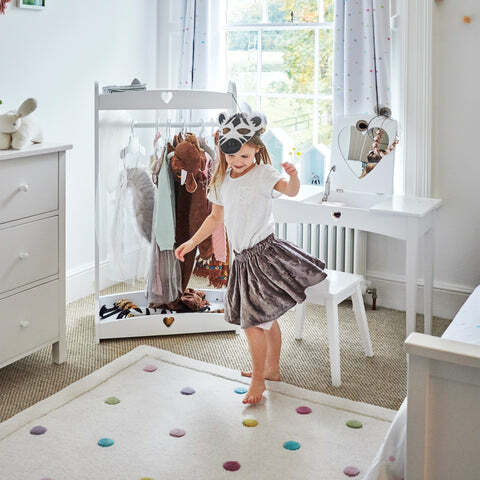 Team up either dressing table with our Sweetheart Dressing Up Rail for fun and accessible outfit storage and also our Sweetheart Mirror.